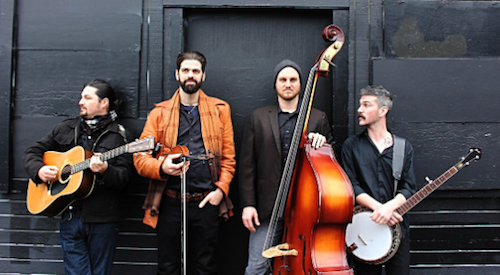 The Portland band Scratchdog Stringband plays a high-energy, innovative brand of bluegrass that satisfies both old-school traditionalists and newcomers to the genre. Friday, November 9th at 7:30pm. Tickets are $15. Friday, November 9th at 7:30pm. Tickets are $15.